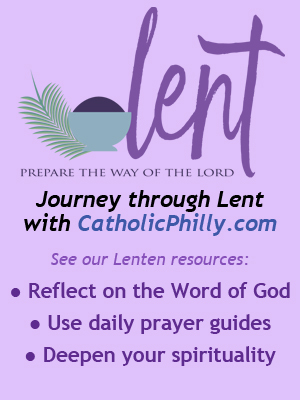 See the Mass readings for the Fourth Sunday of Lent, Sunday, March 31, 2019. See Msgr. Joseph Prior’s commentary on the readings for this Sunday’s Mass. Listen to a Gospel reflection for the Fourth Sunday of Lent by seminarian Wesly Taveras Medina of St. Charles Borromeo Seminary.